An NFC East battle between the Philadelphia Eagles and New York Giants on Thursday Night Football seemed like the perfect primetime NFL showdown. It was going to end one of two ways. One, the Eagles got back on track with an important win. Two, the one-win Giants played the spoiler, keeping the overall NFC outlook in chaos. In reality, the Giants played about as well as could be expected for a franchise in need of an overhaul, resulting in a 34-13 Eagles win while Carson Wentz cruised with three touchdown passes. Here's a look at the power-ranking aftermath. Week 6 will fully determine if the Kansas City Chiefs are for real. Or, rather, it will determine if the pace is sustainable. Everything looks great so far. The Chiefs are undefeated, having run through tough competition like Pittsburgh, Denver and Jacksonville. Along the way, Patrick Mahomes has morphed into the league's breakout star, throwing 14 touchdowns with just two interceptions. As is always the case, the breakout player will eventually see the rest of the NFL adapt and counter. And if there is one coach who seems likeliest to counter the next big thing, it's Bill Belichick. The Chiefs visit the New England Patriots on the Week 6 edition of Sunday Night Football, so the chess match between Mahomes and Andy Reid against Belichick could make for one of the better games of the season. Not only is it a chess match and possible playoff preview, but the encounter will also conclude with what could be the biggest swing in power rankings of the year. The Washington Redskins might be the most erratic team in football. Washington started the season with a 24-6 win over Arizona, which at the time seemed like a strong ushering in of the Alex Smith era and a win-now attitude. They went out the next week in a home opener and lost to Indianapolis, 21-9. On 2nd-and-goal, Alex Smith missed Chris Thompson in the corner of the end zone. Thompson had 7.27 yards of separation per NFL Next Gen Stats, the most separation on an Alex Smith incompletion this season. Through four games, Smith has four touchdowns and two interceptions, and his ground game isn't averaging four yards per carry. The defense has been just as erratic, tallying only nine sacks and coughing up 43 points despite boasting names like Josh Norman in the secondary. At some point, the Redskins will show consistency at one end of the spectrum or the other. They remain technically in control of the NFC East for now, but tough matchups against Carolina and Dallas in the coming weeks should tell fans all they need to know about Washington's season-long outlook. A coinciding shift in the power rankings will start looking permanent in the process. The Cleveland Browns—yes, those Browns—could be in line for one of the biggest slingshots up the power rankings in the coming weeks. Those Browns started the season by playing to a tie with the Pittsburgh Steelers, which could have been chalked up to typical AFC North football and the slow-starting Steelers more than anything. 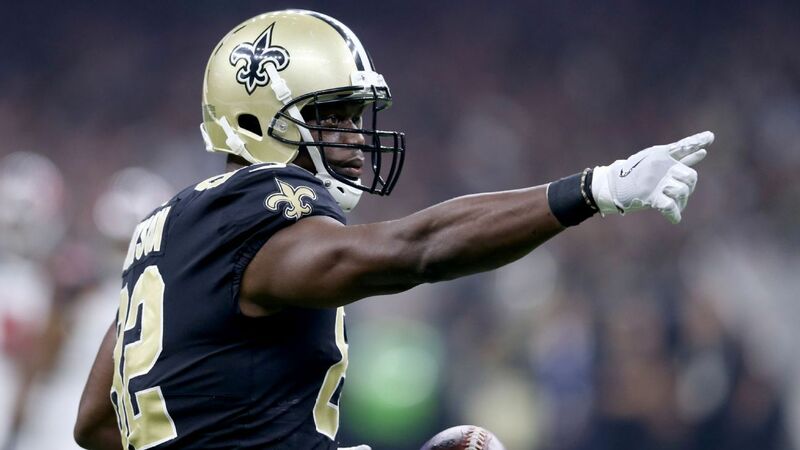 What followed was only a three-point loss to the Saints, a win over the New York Jets and two more games decided in overtime by three points, one a loss to Oakland on the road, the other a home win over Baltimore. But the Browns haven't been too shabby offensively, either, after making the switch to rookie Baker Mayfield under center. He's not putting up gaudy numbers, but his versatility and willingness to fit the ball in tight spaces has opened things up for the unit. While the AFC North might not be in play for the Browns, they feel like a team that could win any week now, which is saying a lot for them given recent history, and more than fans could say about a handful of teams right now. If the Browns can perform well against the visiting Los Angeles Chargers in Week 6, playing Tampa Bay and Pittsburgh after seems like a good opportunity for some serious gains in the momentum department.